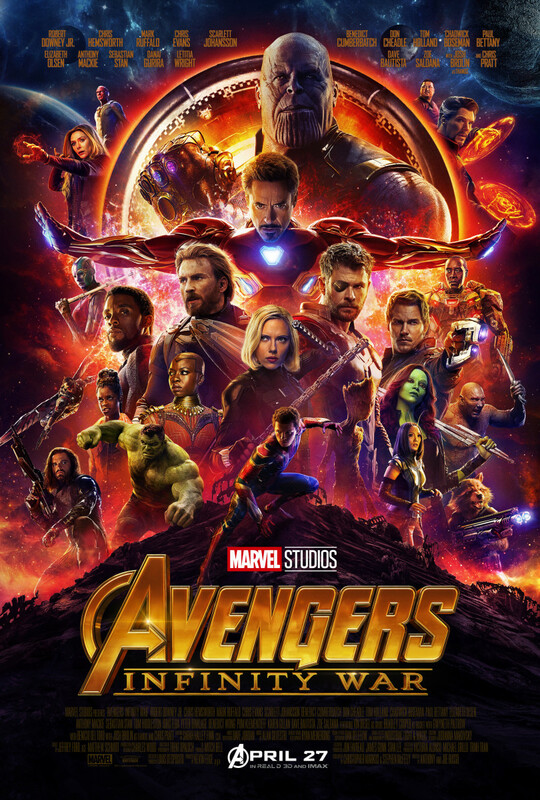 The official one-sheet theatrical poster for, "Avengers: Infinity War." Joe and Anthony Russo or the Russo brothers along with screenplay writers and frequent Russo collaborators Christopher Markus and Stephen McFeely are responsible for two of the most well-received and arguably some of the best Marvel Cinematic Universe (MCU) sequels to date. Many view Captain America: The Winter Soldier as the best Marvel film period while Captain America: Civil War is basically Avengers 2.5 or a sequel in between sequels. 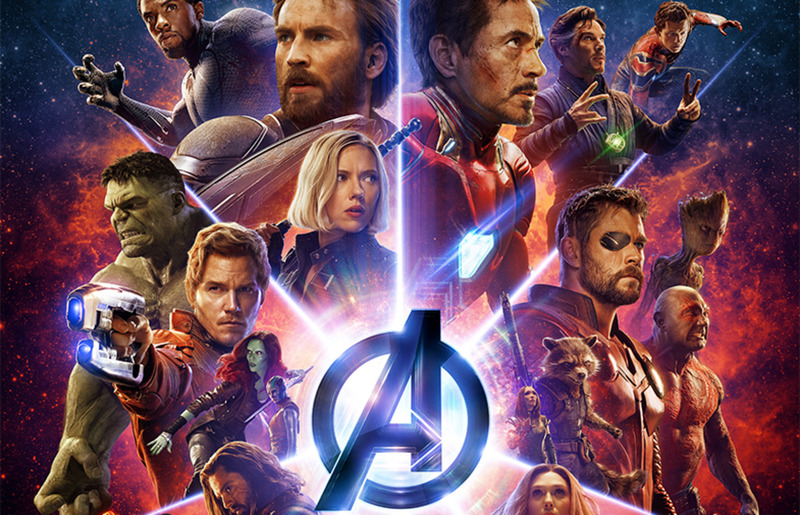 With writer and director of the first two Avengers films Joss Whedon stepping away from the MCU after Avengers: Age of Ultron, it makes sense that the Russo brothers would be tasked with concluding everything that the MCU has been building up to over the course of a decade with Avengers: Infinity War being the 19th film released by Marvel Studios. The majority of the after credits sequences, brief glimpses at Thanos, and Infinity Gauntlet teases ever since Iron Man have been leading to this. Thanos (Josh Brolin) journeys to earth to retrieve the infinity gems that he believes rightfully belong to him. He intends to use them to wipe out half the universe and mold reality as he sees fit. The events of Civil War leave the team known as The Avengers in shambles, but with the return of Bruce Banner (Mark Ruffalo) on earth, Tony Stark (Robert Downey Jr) butting heads with Dr. Strange (Benedict Cumberbatch), and Thor (Chris Hemsworth) coming face to face with the Guardians of the Galaxy it seems as though The Avengers will eventually reassemble to protect the universe from the greatest threat it has ever faced. 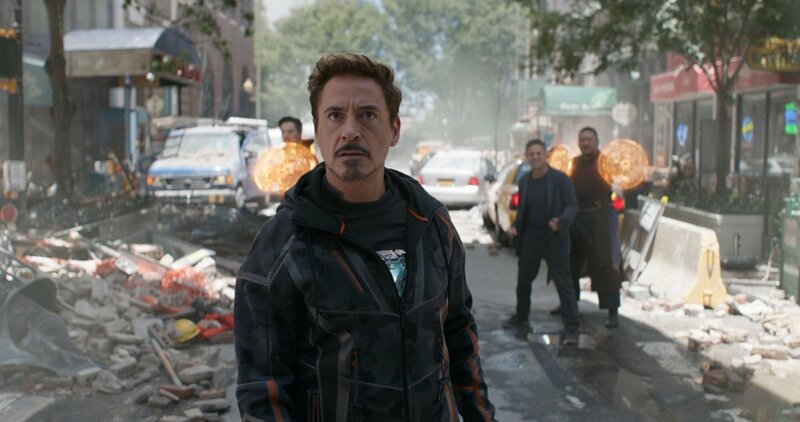 You are likely aware of how much death you’ll actually witness in Avengers: Infinity War, but it’s still shocking to see it all unfold over two and a half hours. 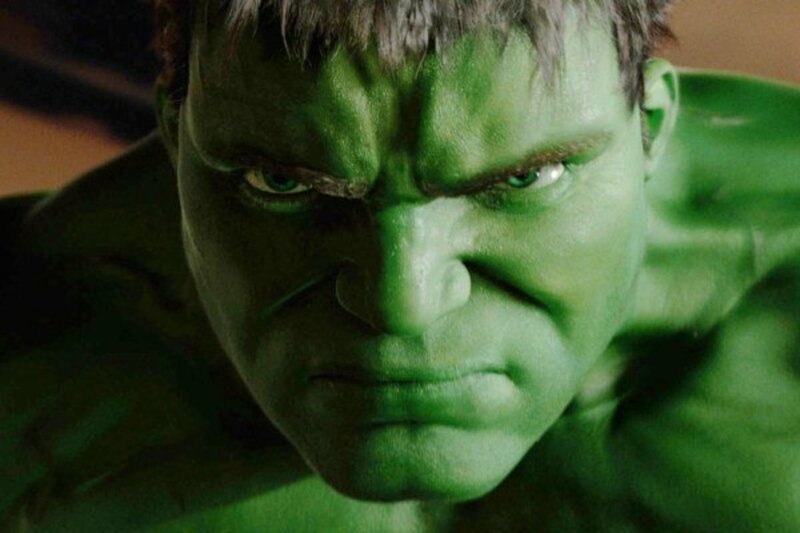 It could be a combination of having to use the restroom in the worst kind of way by the end of the film (which only intensifies since there is a scene after the credits) and forgetting about whatever expectations you did have during the film because you’re so incredibly captivated by the superhero sequel, but Avengers: Infinity War changes the formula for superhero films and more importantly the Marvel movie story structure that has become so tiresome and predictable over the past ten years. Thanos is the first MCU villain to have a long lasting presence. The bad guys in Marvel films usually have a lot to say regarding killing a certain hero or dominating a particular planet, but the hero swoops in and saves the day while the villain dies in a way that leaves the hero somehow looking even more heroic. 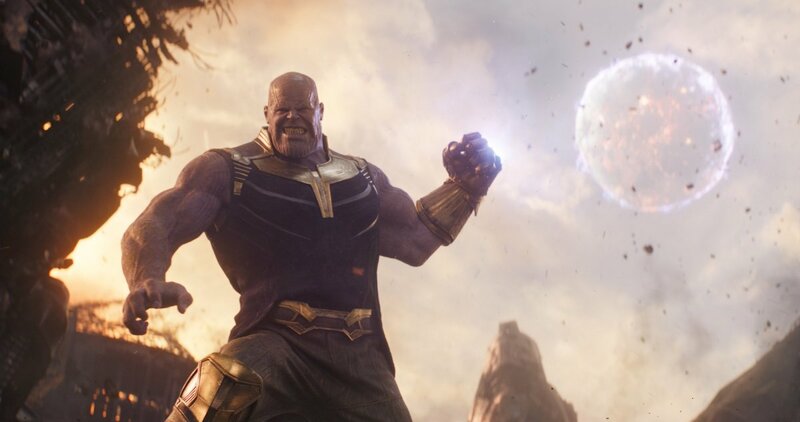 Thanos is the most fantastically devastating villain in a superhero film to date. He doesn’t hesitate to decimate everything that stands in his way and he leaves these piles of unconscious superheroes in the aftermath. While Thanos is every bit The Mad Titan that he’s rumored to be, you also kind of sympathize with the big purple guy on a certain level. He wants to erase half of the universe, which is obviously despicable but his intention is that those individuals have to die so the other remaining half can flourish; would you rather be overpopulated and struggling or be a part of a more vacant population with room to grow and improve? These are goals Thanos has had to set aside in the past and he’s no longer going to allow anything to prevent him from obtaining the gauntlet. In the comics, all of the actions Thanos made were in the name of Lady Death, but the MCU version of Thanos is driven by something else entirely. Tom Holland, Robert Downey Jr, Dave Bautista, Chris Pratt, and Pom Klementieff as Spider-Man, Iron Man, Drax, Star-Lord, and Mantis in, "Avengers: Infinity War." Josh Brolin delivers a mesmerizing motion capture performance as Thanos. He has an eloquent way with words that highlight how intelligent he is, but his line delivery is pure power. Thanos isn’t one to waste words and the way he speaks is loud enough to make a statement, but almost completely devoid of emotion which makes his ability to alter reality and rip planets out of the sky all the more terrifying. Those moments that catch Thanos off guard, the unexpectedly sentimental or an unseen ambush, almost allow you to feel remorse for the Thanos character. He lost everything when his home planet Titan was destroyed and there’s only one thing that can compensate for that. This is easily the darkest MCU film of the past ten years, but there’s also a ton of great humor you’ve come to expect in it as well. The majority of The Avengers all tend to have at least one moment where they mutter a humorous one-liner (Thor seems to squeeze in a bit more due to the copious amount of comedy left in the wake of Thor: Ragnarok), but The Guardians of the Galaxy are consistently funny nearly every time they’re shown on screen with Rocket, Drax, and Star-Lord having the most laughs. There are also a few surprises in the film outside of who lives and who dies that are exhilarating and fun to discover during that first viewing of the film. Don't let anyone ruin that first viewing of Avengers: Infinity War for you. It is so easy since it is overflowing with spoilers. Josh Brolin as Thanos in, "Avengers: Infinity War." Whatever your expectations may be heading into Avengers: Infinity War, the blockbuster film will manhandle them like a bag of pretzels before stomping on them until they’re nothing but salt and bread crumbs. This is two and a half hours that goes by as quickly as it began with a nasty villain that is too freaking cool and powerful to dislike. You will want to see this again as soon as it ends. 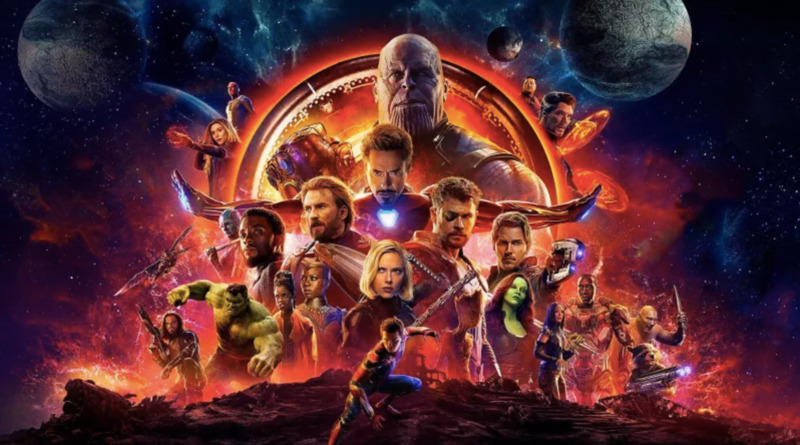 Avengers: Infinity War is the monumental superhero epic you hoped it would be and then some. This is the end of the MCU as we know it and it is utterly spectacular. The stakes have never been greater, which is exceptional for Infinity War but could be an issue moving forward. 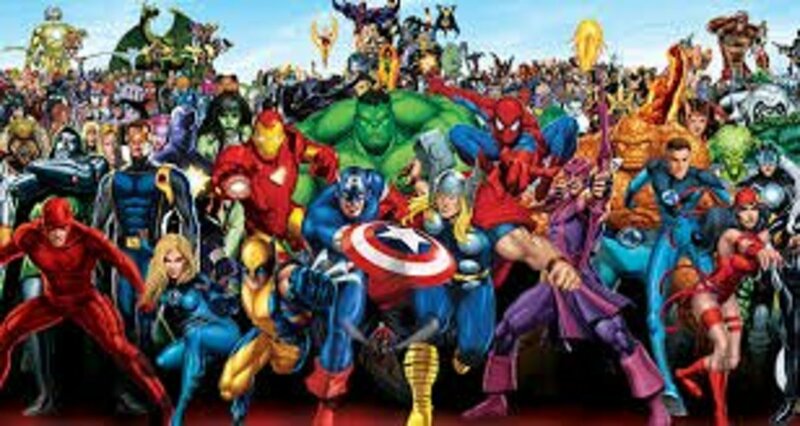 After the next Avengers film, where does the MCU go? How will they make a villain feel this relevant and powerful again? There’s an entire roster of evil characters the MCU hasn’t even scratched the surface of yet but what’s to say any of them will have this kind of introduction again. This feeling of dread and hopelessness that Infinity War offers with Thanos wreaking havoc may be completely undone as early as next year, but it’s something you should absolutely enjoy in this very moment because it won’t last forever and it may not occur again. Benedict Cumberbatch, Robert Downey Jr, Mark Ruffalo, and Benedict Wong as Dr. Strange, Tony Stark, Bruce Banner, and Wong in, "Avengers: Infinity War." I feel like I’ve experienced more emotions during films I’ve watching in 2018 than any other year, but there are so many gloriously impressive action sequences in Avengers: Infinity War that result in your entire body getting a wave of goosebumps and your eyes well up on more than one occasion not only because characters you’ve grown accustomed to are dying but also because everything feels so massively epic. 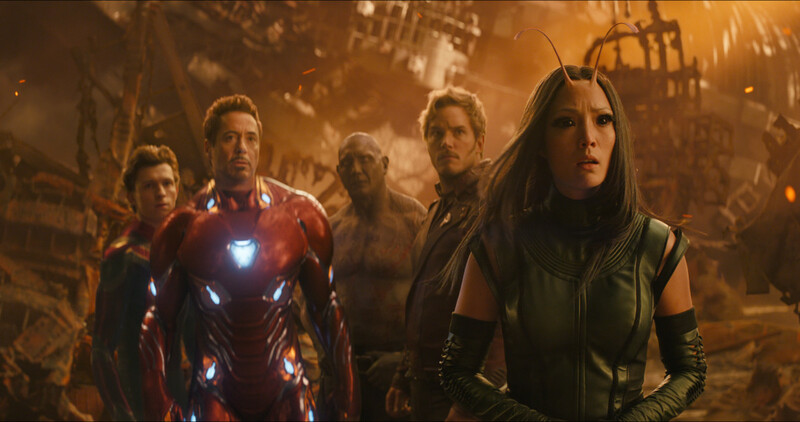 Every aspect you love about the Marvel universe collides in Infinity War without all of the flaws and hiccups that have made other Marvel films feel like their formulaic storylines were designated in cookie cutter fashion. Avengers: Infinity War makes you laugh through sorrowful tears, flabbergasted gasps, and dropped jaws. I see your point, Noel. 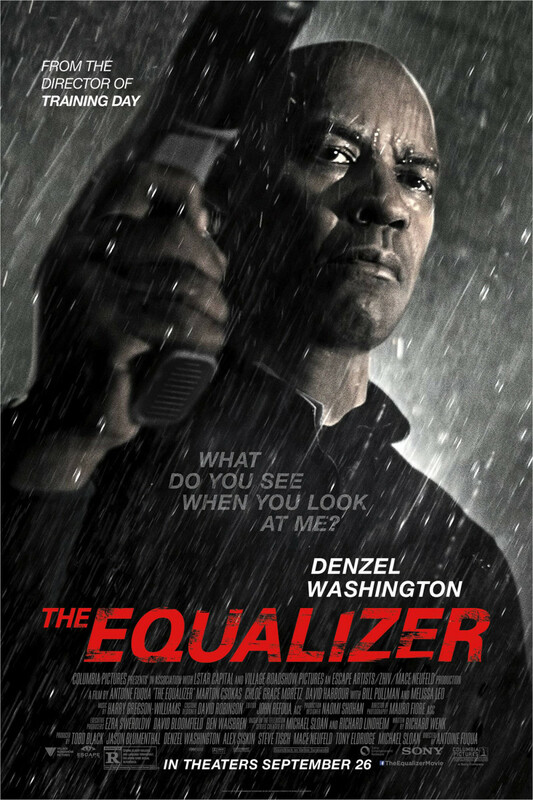 Some characters who are dead by the end of this film are guaranteed to return since they already have announced sequels in development. With that said, some who lived will likely be dying since their contracts are up. I’m really wanting Thor to stick around since I’m a huge fan of Ragnarok. 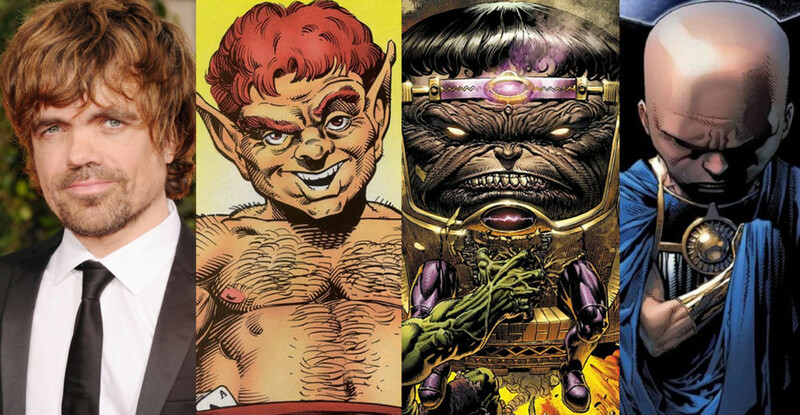 I just want Marvel to mix it up from here on out with villains who continue to have depth whose actions impact the entire universe. Even if they’re only a helping hand in a grander scheme of things, it’ll at least alter the happy go lucky formula for MCU films that we’ve all become accustomed to. Fantastic review! From one critic to another, you nailed it.